Eight times a year, Virginia Magazine publishes an e-newsletter featuring stories about alumni across the globe, contests, University news highlights and much more. Subscribe by updating your e-mail address at HoosOnline. 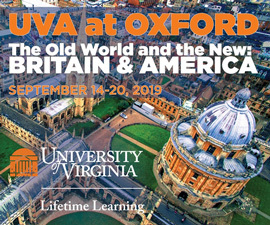 Alternatively, you could send an email to uvamag-web@virginia.edu containing your first and last name, email address, school and graduation year or affiliation with the University. Without this information, we cannot subscribe you. —The Honors of Honor: Take a look back at how Final Exercises have been celebrated in the past century. Virginia Magazine’s team of editors explores hundreds of story ideas each year. Only a small portion makes it into the magazine; even fewer made this list. From UVA's youngest student to vintage advertising and 3-D bioprinters, here's a collection of our favorite stories from 2015. —Want to Make Flowers Bloom? —What Are You Going to Do with that Major? —Why Does the Honor Committee Believe Its Proposal Is Needed? —How Would It Change the Honor System? —Can Dostoyevsky's Crime and Punishment Prevent Crime? —Did Social Networking Spur a Revolution? —The Most Important Man in the NFL? —What Do the Midterm Election Results Mean? —Stroll the Mall? Streak the Lawn? 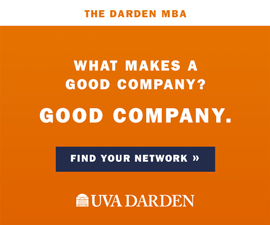 —Are you as smart as UVA's Jeopardy contestants? —What was it like to be one of the University's first black students? —Who makes the TV shows you love? —Why Do Couples Break Up? —"Love is a Mix Tape"
—What does Veronica Nolan have in common with 1,000 high school students? Feature: What’s Happening at my University? Feature: Where in the World is Thomas Jefferson? Feature: When a robot makes music, what does it sound like? Feature: The top ten UVA stories of 2007. Also, where are your New Year’s resolutions? Feature: Can civil discourse be saved? Feature: Can Wikipedia Be Trusted?